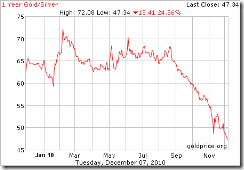 The problem is, the paper silver that is being sold through the futures market is unlikely to exist. Why? Commodities traders on COMEX have made bets in which they promise to deliver more than twice the amount of silver known to exists! As the prices in the futures market affects the prices in the spot market, any manipulation in the futures market will indirectly manipulate the prices in the spot market. 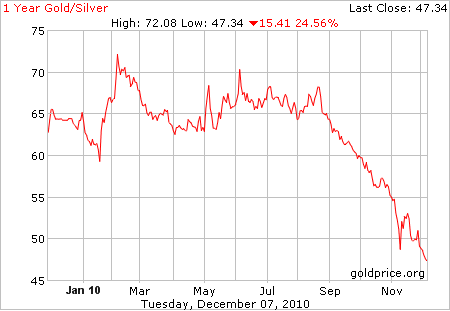 A very big question to ask is this: how much of the ETFs are backed by the physical precious metals? Since ETFs accounts for a significant fraction of demand for precious metals, how much of these demand translate into actual demand for the physical precious metals? The New York Mercantile Exchange, Inc. (“NYMEX” or the “Exchange”) hereby notifies the Commodity Futures Trading Commission (“CFTC”) that, as set forth in the attached rule interpretation, it will accept gold-backed ETF shares as the physical commodity component for EFP transactions involving COMEX gold futures contracts, provided that all elements of a bona fide EFP pursuant to Exchange Rule 104.36 are satisfied. In other words, gold ETFs can be delivered in lieu of the physical gold commodity as part of the obligations of the futures contract! Humanity has finally invented alchemy! But for a certain class of gold owners, they DO earn interests on gold. Right now, instead of receiving interest for lending out gold, they are paying people to borrow gold. The best way to explain gold forward pricing is to use an example. To understand this, we assume that you have already read and understood Pricing of futures beforehand. 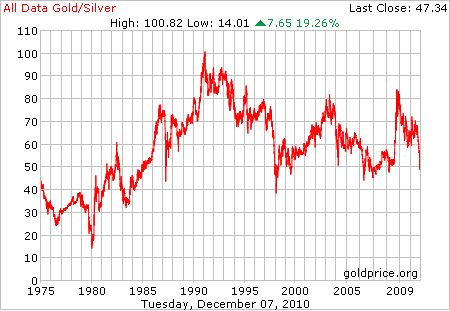 Let’s suppose the spot price of gold is $1000 per ounce. The lease rate for 180 days is 2 percent per annum while the carry cost (which includes storage and interests) is 5% per annum. So, we borrow $1000 for 180 days. At the carry cost of 5%, we have to repay $1000 * (1+.05(180/365)) = $1024.66 in 180 days time. With the borrowed $1000, we buy 1 ounce of gold and lease it out. At the end of the 180 days lease period, we expect to get back 1 * (1+.02(180/365) = 1 (1.01) = 1.01 ounce of gold. Therefore, 1 ounce of gold has grown to 1.01 ounce in 180 days time at a value of $1024.66. 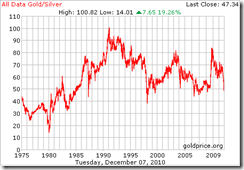 Therefore, the forward price of gold will have to be $1024.66/1.01 = $1014.51. If the 180-day forward price of gold is not at $1014.51, then an arbitrage opportunity exists (see How futures price affect market price for more details). After having introduced futures yesterday in Introduction to futures, we will explain the basics of futures pricing. It must be noted that the pricing of futures is a theoretical concept, which is what the price shoud be. In real life, the actual price could deviate from its theoretical prices for various reasons. The spot price is the prices fetched by the underlying in the market. If the stock pays dividend within the 12 months, then this dividend plus the interests associated with that dividend itself will be adjusted in the carry cost to arrive at the theoretical value of the futures. For stocks, since it is an intangible thing, the carry cost is basically the interest foregone (and the dividends plus the interest on dividends). But for physical commodities (e.g. oil, gold, copper), the carry cost involves warehousing, insurance and other costs associated for physically holding them. So, what if in actuality, the futures price deviates from its theoretical price? Keep in tune! In our previous article, Who is to blame for surging food and oil prices?, we explained Michael Masters’ argument that the distortion of prices in the commodities futures market will affect the prices of commodities in the spot market (i.e. its real world market prices) and by extension, its inventory levels. If you can demolish that argument, you effectively demolish Michael Masters’ testimony. We will not attempt to do that here. But today, we will introduce what futures is in order for you to have some understanding of the interaction between futures prices and spot prices. First, what is a futures contract? Basically, it is a contract to buy or sell something at a pre-determined price in the future. For example, if you buy a June futures contract for gold at $1000, it means you have entered a contract that obliges you to buy gold at $1000 in June. Conversely, if you sell a June futures contract for gold at $900, you are obliged to sell gold at $900 in June. In this example, gold is the “underlying” of the futures contract and June is the “expiry” of the futures contract. In the financial market, there are all sorts of “underlying” for futures, from stocks, bank bills, bonds, commodities and so on. Thus, if you have an existing futures contract to obliges you to buy or sell an “underlying” in the future, you are said to have an open position. What if you want to absolve yourself from that future obligation? You need to enter an opposite futures position at the current market price to close out that position. For example, if you have already bought June futures for 100 ounce of gold, then you have to sell June futures for 100 ounce of gold at whatever the market price to close out your futures position. If you have already bought the futures at $950 per ounce and sold the futures (to close out your position) at $900 per ounce, then you have made a loss of $50 per ounce. That’s all for the introduction to futures. For those who are un-initiated to futures, isn’t it surprisingly simple? Next, we will cover the basics of futures pricing.